The study, led by scientists at Sussex and Kent universities, found a “very large fenced reserve” – ideally 1,000 square kilometres – would enable a population density of about 80 wolves across this area needed to directly reduce deer. The researchers say the fencing would also help limit encounters with residents, farmers and workers in the Highlands, while encouraging tourism. The study comes as millionaire landowner Paul Lister continues to promote his bid to introduce a wolf reserve at his Alladale Estate. But critics, which have included Rural Economy Minister Fergus Ewing, oppose the reintroduction of wolves on the basis it could threaten farmers’ livelihoods, while others say it would restrict public access to areas of natural beauty. Wolves once roamed freely in Scotland but were hunted to extinction by the 1740s. The researchers claim current high red deer densities – up to 40 deer per square kilometre – are preventing tree regeneration and ecosystem restoration in parts of Scotland. Dr Christopher Sandom, biology lecturer at the University of Sussex, said: “Reintroducing the wolf has long been suggested as part of the solution to large red deer populations but there will always be concerns about how wolves interact with people in any rewilding project like this. The team’s analyses found a wolf population could lead to reduced deer numbers without threatening the deer population. 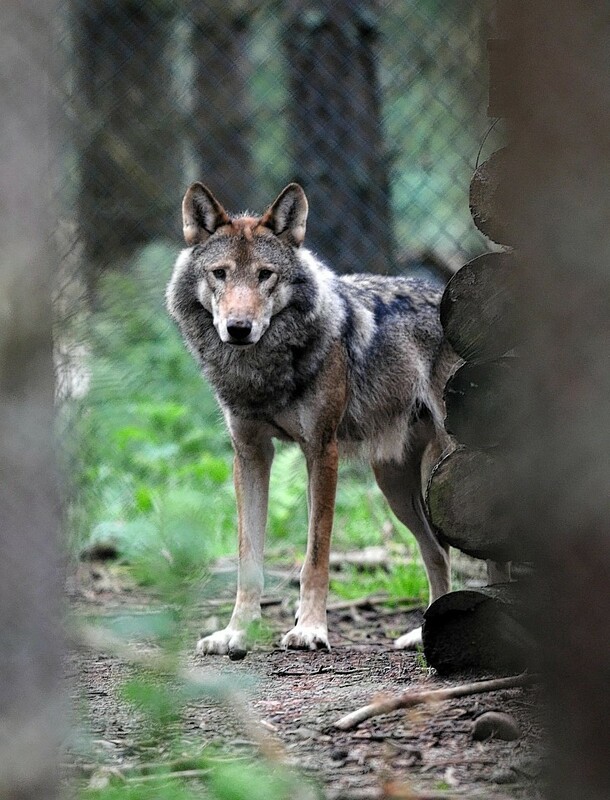 To understand the likely dispersal behaviour of wolves, the researchers drew on examples in Finland, Poland and Canada, which revealed young wolves who leave a protected area often find it difficult to establish a new territory. Dr Sandom said that, although fences are an unpopular tool in biodiversity conservation and would ideally be avoided, compromise was needed where there were conflicting interests. The paper said the reintroduction of grey wolves was likely to be of relatively small benefit to the conservation of the species, but could have important ecosystem level effects by instigating a “significant trickle down impact” on species further down the food chain. The new study comes less than three months after millionaire environmental conservationist and landowner Paul Lister said that establishing a wolf reserve in the north of Scotland could create a “world class” visitor attraction and up to 50 jobs in a remote area. Mr Lister, who owns Alladale Wilderness Reserve in Sutherland, believes a wolf reserve could become the Scottish equivalent of Yellowstone Park in the United States, and eventually develop into the wildlife equivalent of the NC500 for attracting visitors. Speaking in March, he said that he is looking at creating a site of 50,000 acres – less than 1% of the Highlands – to release a pack of Swedish wolves into a controlled environment. Some critics say it would restrict the right of the public to have access to an area of natural beauty. Others claim reintroduction of wolves was simply a gimmicky scheme which could endanger indigenous wildlife.